Today I am going to review one more soap from brand Nature’s Emporium . It’s Lemon & Lavender Soap . 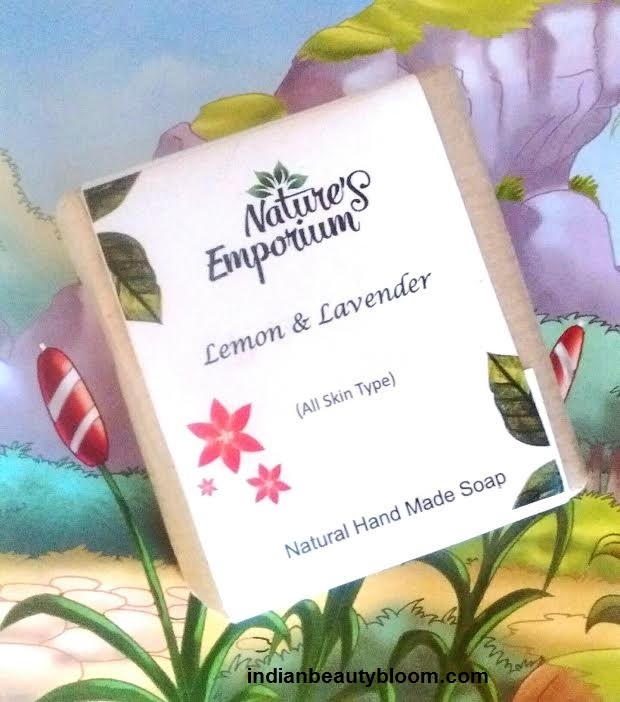 Lemon & lavender is a hand made soap from brand Nature’s Emporium which has some great products to offer like Hand made soaps , Body Butters , Face products . This soap is made up of all natural ingredients like Lemon Oil , lavender oil , French red clay etc and is good for skin . The soap comes in a brown paper and above it all product information is given on a White paper . 1. 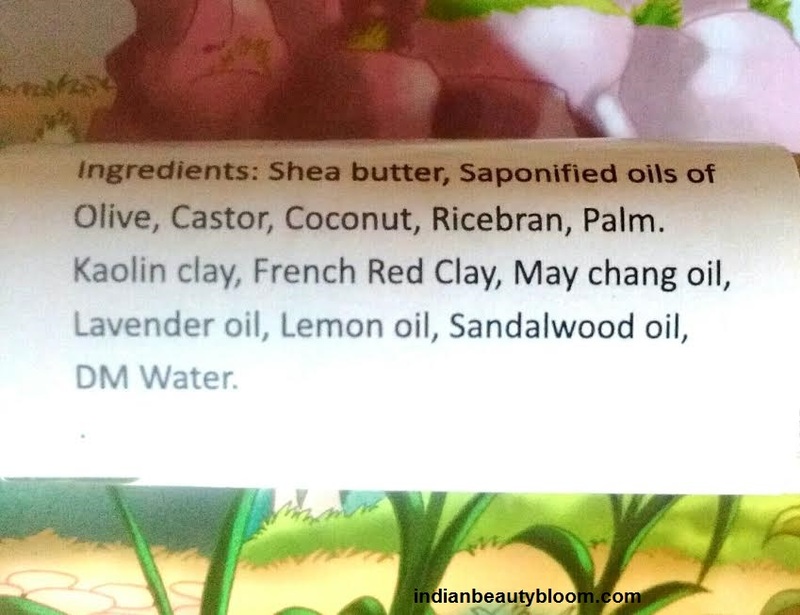 All Natural ingredients like Lemon oil , Laveneder oil , Red French clay etc. 2.Has goodness of Olive oil , Coconut oil . 3.Does not contains any harmful chemicals or preservatives . 4.Free of Paraben , Sulfates . 5.Does not contains any artificial fragrance . 6. Lathers well and is a good cleanser . 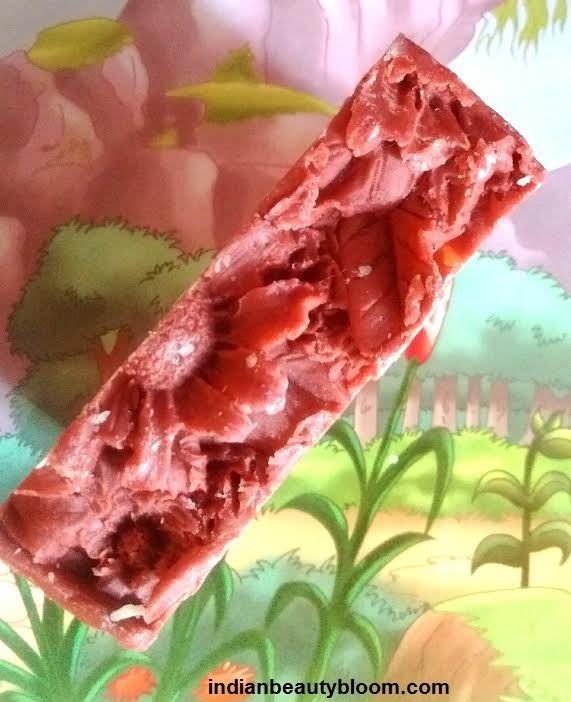 7.Does not melts fast like many other soaps . Availability might be an issue as available only on online store . I am using this soap these days and it’s a good soap as it lathers well and cleanses well . 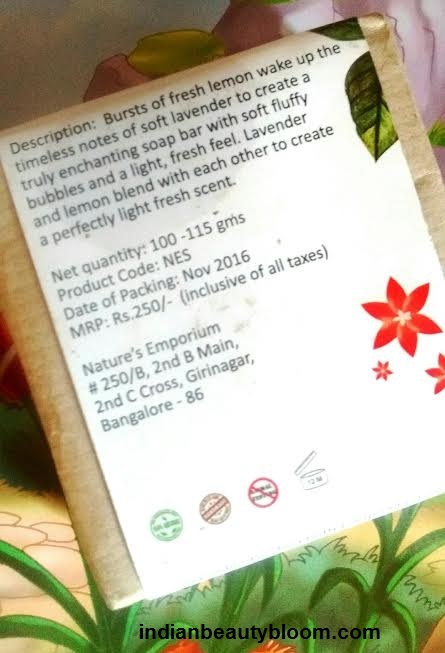 I have used Lemon soap from few other brand also and usually lemon soaps have a strong Lemony fragrance so was expecting that from this soap also but this soap does not has any lemony or Citrus fragrance , this might be because of the reason that since this is a natural product they haven’t added any artificial fragrance . 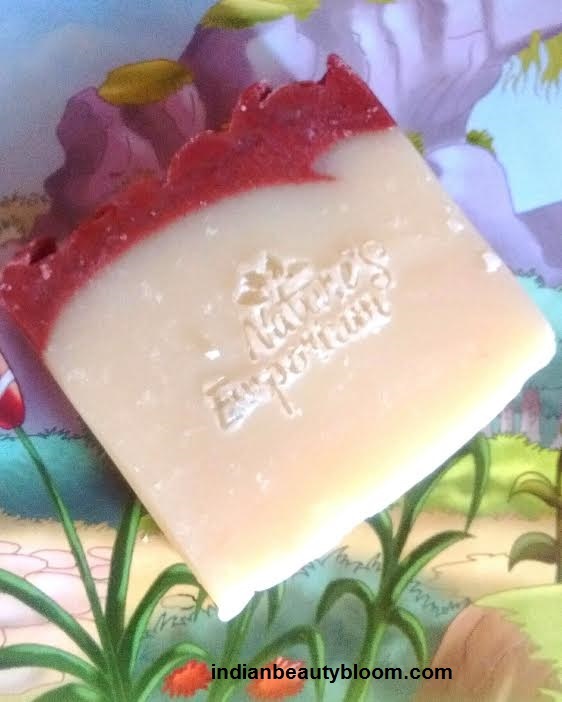 The soap is good and does it work well , Would appreciate if some citrus or lemon fragrance could be added to it as when people buy and use a lemon soap they expect a good fragrance as it makes user feel fresh .